Exciting new opportunities to help build up Northwest Fencing Center! NWFC’s rich four-decade legacy leads us to amazing crossroads in 2018! 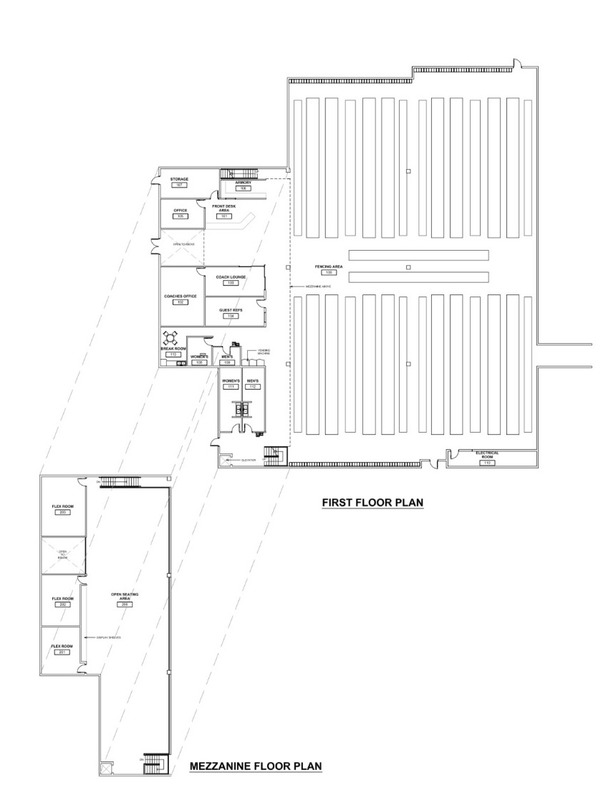 We have secured our location for 10+ years and will be expanding into the former billiard space. Phased construction begins summer 2018! NWFC is a growing, vibrant community striving to help fencers achieve their goals by delivering high quality training and a community to match. As the lease term wound down, other sites were reviewed to determine the best location for the NWFC’s next twenty years. In the end our current location offered the best of both worlds – a stable affordable space and a place to grow. NWFC signed a lease extension for a ten-year term beginning 1/1/18, which included the first right of refusal option for the billiards space. 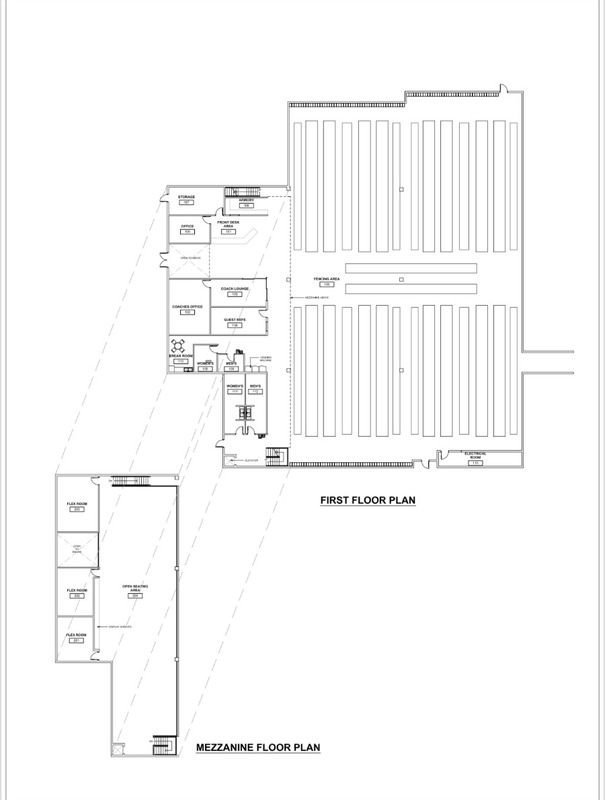 NWFC NEXT will be 21,714sf – 13,846sf current space plus 7868sf from the billiards. 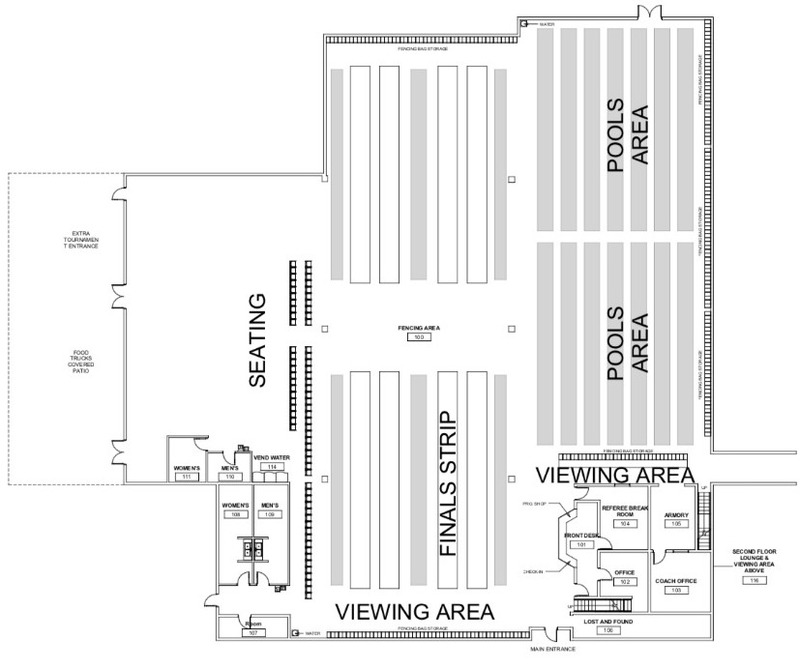 The billiard space will be vacated almost a full year sooner than anticipated and as a result, we are adopting a phased plan to 1) assimilate the new space, 2) increase our fencing strips almost immediately and 3) within one to two years have a fully realized expansion. This project is flexible by design and requires success on three fronts: 1) manage the design and permits process; 2) targeted fundraising; and 3) minimal disruption to operations. Together with outside experts, we will develop this plan to achieve Phase 1 by August 20, 2018. Phase 2 & 3 can begin any time after September 2018 (timing is flexible based on permitting and fundraising) with the phase 3 to be completed during summer of 2019 or 2020. This is a fund-as-we-go expansion. Phase Two will occur during the 2018-2019 season and will include a comprehensive fundraising campaign. The sooner we can fulfill the needs we can begin work on Phase 3 construction.